FT-200 FH is a new unmanned rotorcraft developed by FT Sistemas. Image courtesy of FT Sistemas. The FT-200 FH was displayed at LAAD Defence and Security 2017 exhibition. Image courtesy of Rockwell Collins. 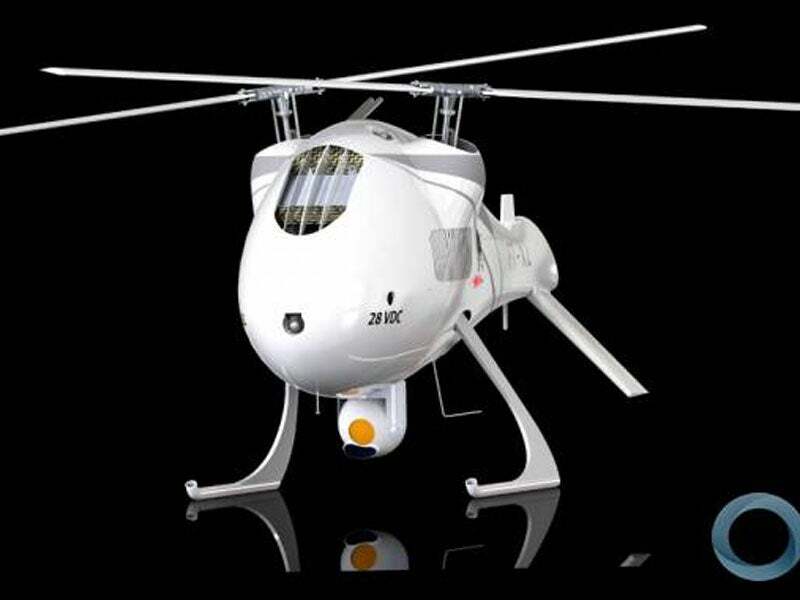 The unmanned helicopter is equipped with a micro inertial navigation sensor (Micro INS). Image courtesy of Rockwell Collins. The FT-200 FH is a new vertical take-off and landing (VTOL) unmanned aerial vehicle (UAV) developed by FT Sistemas. The remotely piloted helicopter can be deployed in defence, security and civilian missions. The unmanned rotorcraft was unveiled by FT Sistemas at LAAD Defence and Security exhibition held in Rio de Janeiro in April. FT Sistemas preferred Rockwell Collins to supply its micro inertial navigation sensor (Micro INS) for the FT-200 FH unmanned helicopter in March 2016. The FT-200 FH is an ideal platform for use in a range of defence applications, including real-time image gathering, vectoring, data collection and ground monitoring. The unmanned helicopter integrates a counter-rotating rotor configuration, which provides flexibility for installation of equipment, while also reducing the space required for stowage and transportation of the system. It complies with the Joint Authorities for Rulemaking on Unmanned Systems (JARUS) certification specifications for light unmanned rotorcraft (CS-LURS). The FT-200 FH has a rotor diameter of 2.8m and a maximum take-off weight (MTOW) of 80kg. It can carry a maximum payload of 50kg. The unmanned rotorcraft can carry electro-optical / infrared (EO / IR) sensors, a laser scanner and a synthetic aperture radar (SAR). It can also be customised to accommodate additional payloads such as laser pointer, active sensors, acoustic sensors and speakers. The state-of-the-art payload systems aboard the FT-200 FH enable efficient and reliable data collection for decision-making. The FT-200 FH integrates FTSmartFly pilot and navigation system, as well as FTSafeFly redundant flight system, ensuring fully autonomous operation and safe landing in challenging environments. It is also equipped with specific technologies such as FTSmartLight, FTSmartID, FTVoiceCom, FTSmartSense and FTLowNav systems to enable the operator to safely integrate the UAV into airspace, avoid obstacles and other aircraft, identify other aircraft and communicate with them. The technologies also help to manage flight control and information dissemination. The Micro INS aboard provides a comprehensive and precise status of the platform. The system weighs approximately 100gm and houses an internal disk-on-chip for extensive data logging. The robust design withstands shock, vibration, and high temperature and humidity. The system employs state-of-the-art micro electromechanical sensors, including accelerometers, rate gyros, magnetometer, air data pressure sensors and a wide-area augmentation system-enabled (WASS) GPS receiver. The easy-to-operate UAV can be deployed in just ten minutes and can be operated from a fixed location or from mobile platforms. The VTOL operation allows the UAV to perform take-off and landing in confined spaces. The unmanned rotorcraft is controlled by a portable ground control station (GCS), which allows the operator to control the aircraft systems and performance characteristics of the UAV. The operating modes, routes, altitudes and directions of the aircraft can also be altered using the GCS. The UAV will also perform initial processing of mission data. The UAV also provides local communication networks within the range of up to 100km through individual reception units and remote video terminals. The FT-200 FH unmanned rotorcraft is powered by a single 16.5hp engine burning gasoline or aviation kerosene. It has a typical mission endurance of 12 hours and can fly at a maximum altitude of 12,000ft. The data link range of the UAV is 100km. The remotely piloted helicopter can be loaded in commercial vehicles and operated from shelters or command, control, communication, computers, intelligence, surveillance, target acquisition and reconnaissance (C4ISTAR) platforms.